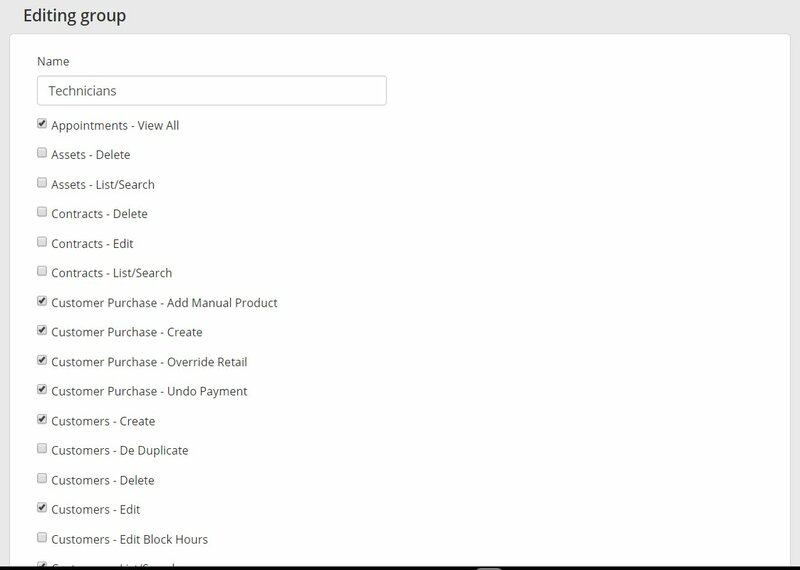 Security Groups allow you to set granular permissions for any non-admin group in your account. It's available in Admin > Security Groups - by default we have a Technicians group that all your techs are assigned to. 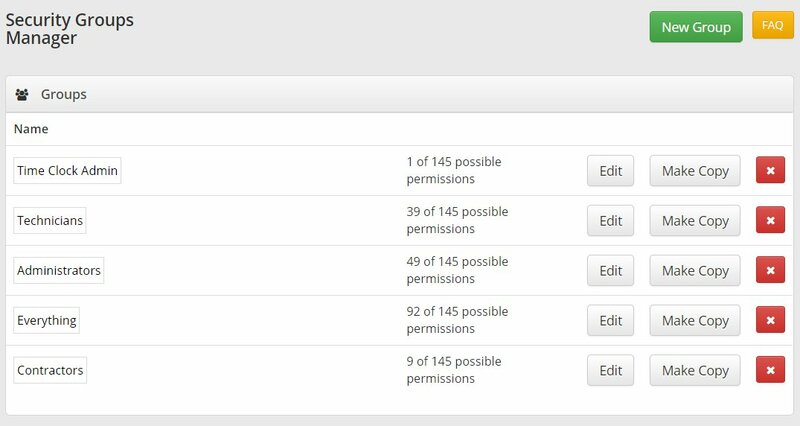 Allow you to set permission levels on what can be edited, created and deleted or viewed in the app at a individual or group level. Find the droids you're looking for. 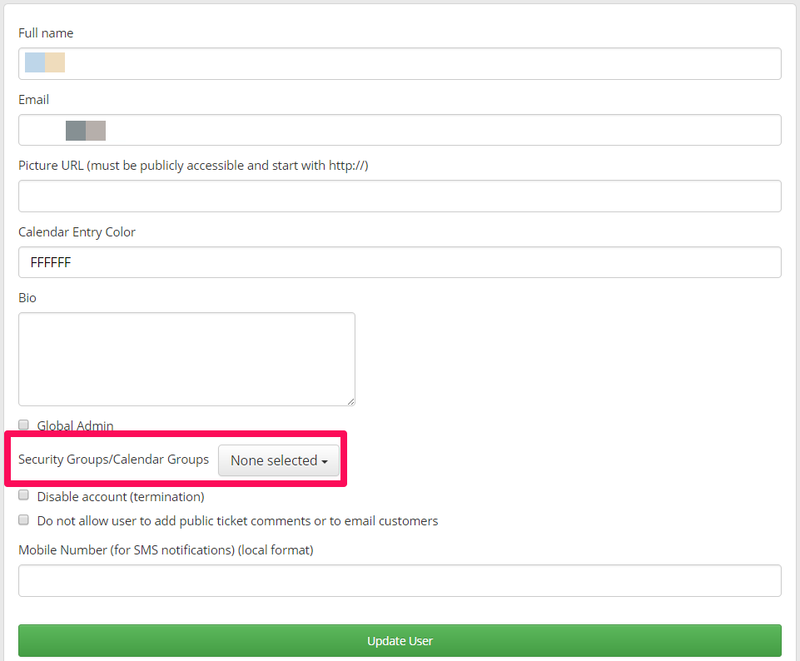 You can configure groups then head to Admin > Users, Details to assign users to a group. Here is how to configure Security Groups. 2. Then you'll see the default groups we setup for you. 4. Once you have your groups setup, head to Admin > Users > Details for a user you want to assign to whichever group you want them in. NOTE: Global Admins cannot have security permissions imposed on them. They have full access. You can choose to have the User in more than a single security group if you want. A use case may be that someone is a tech with Time Clock admin abilities. Another may be a manager that doesn't have full delete capabilities in the system.